It’s not quite the same as those immortal words entered at the end of a certain race in Hawaii but I can now say that I am a triathlete! 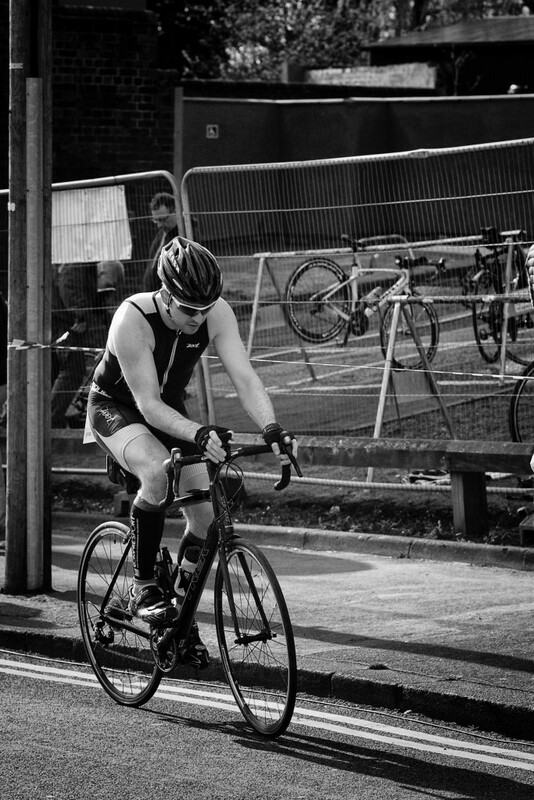 Today was the Halesowen Triathlon, a local sprint event with a pool swim. A while ago I decided it would be a good first race and so it proved. 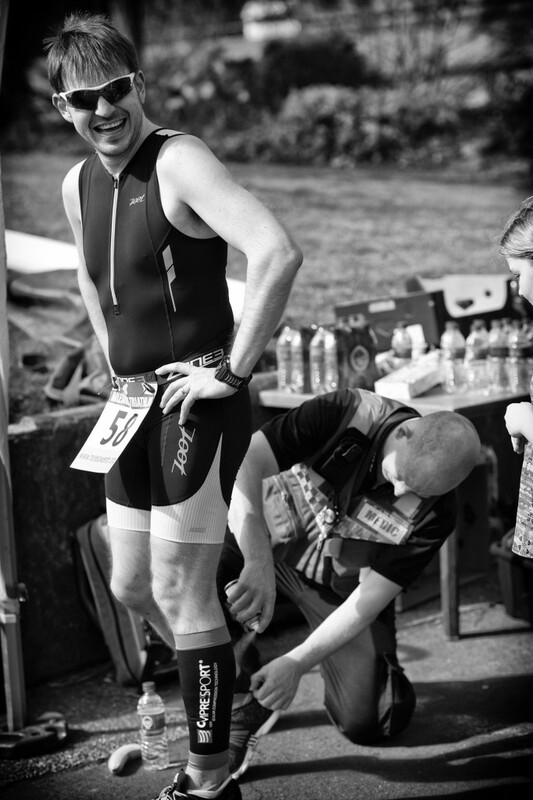 It’s safe to say that my preparations didn’t go as well as planned, a number of niggling and occasionally ridiculous injuries blighted things but we got to race day in more or less one piece; or so I thought. 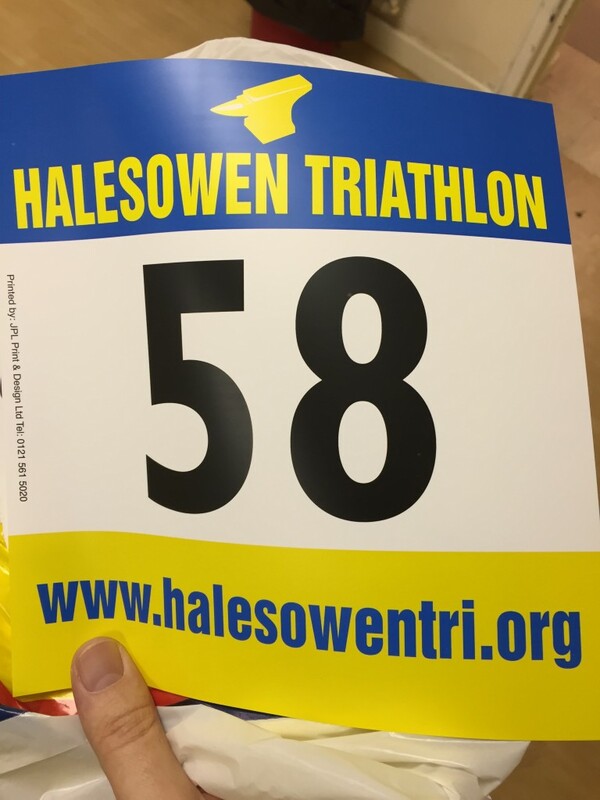 Halesowen Triathlon 2015 – First Triathlete Number! I hadn’t done any swimming of note since wrenching my shoulder trying on wetsuits in late January, however I felt reasonably comfortable following a gentle tester last week. 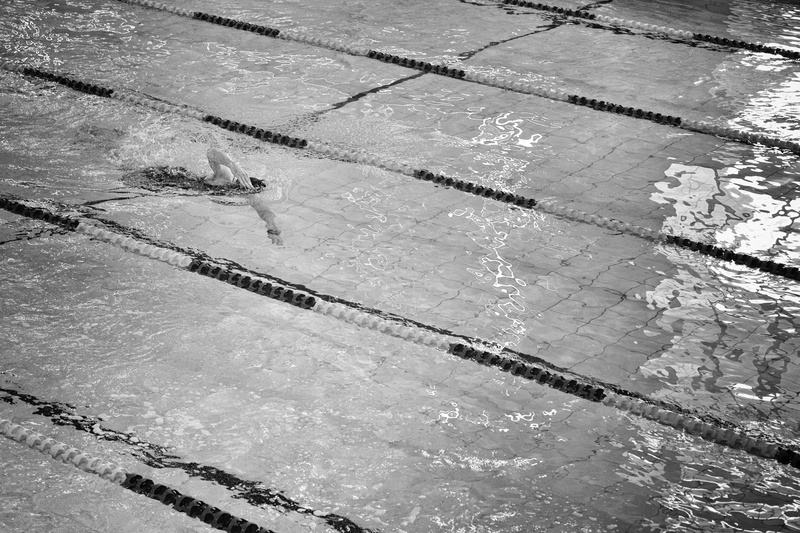 The first difference to my normal swimming was the 33m pool, but it turned out to be a non event. I felt the best I’ve ever done in the pool, aside from missing a breath or two, and was very pleased with a time equalling the time trial I did in January, which given the lack of training was excellent. After a very leisurely T1, note to self need work on that, 3:16 is not ideal but then again descending wet concrete stairs isn’t either! One of the niggling injuries was a calf strain I did about a month ago, so I’ve been using Compresssport R2 Calf Guards and they were a hassle to get on too. The course was a pretty hilly one and the wind was evil, strong sideways gusts on tricky descents and then strong headwinds on the uphills! Once more I had a major speed wobble on one of the downhills, but I was more prepared for this after the recent recce. I need to find out why I’m having the wobbles though as I was steadily gaining on the guy in front of me on the climbs, but he left me for dead on the downhill bits due to my lack of confidence. I did eventually get him on the longest climb and he never came back passed me. Not much more to report, it was a decent ride and I beat my PRs on pretty much every section according to Strava. 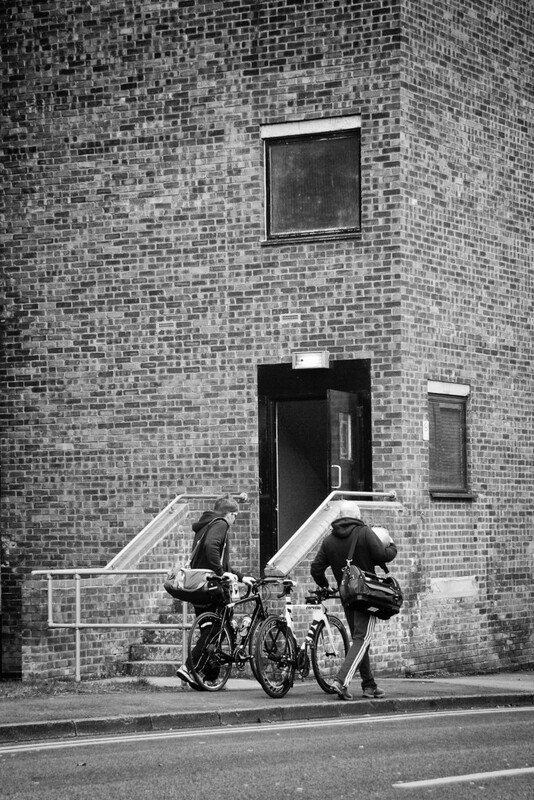 I need work on my bike skills though as despite maintaining a decent average cadence of 84, I never felt like I was really working that hard but simply couldn’t transfer the power through the bike – it’s early days though, I’ve only been riding a few months! Thankfully T2 was much better at 39s, the Nathan lock laces certainly helping here! Sadly that was pretty much the end of the good news for the run. Straight away my calf muscles felt very tight and were cramping quickly. 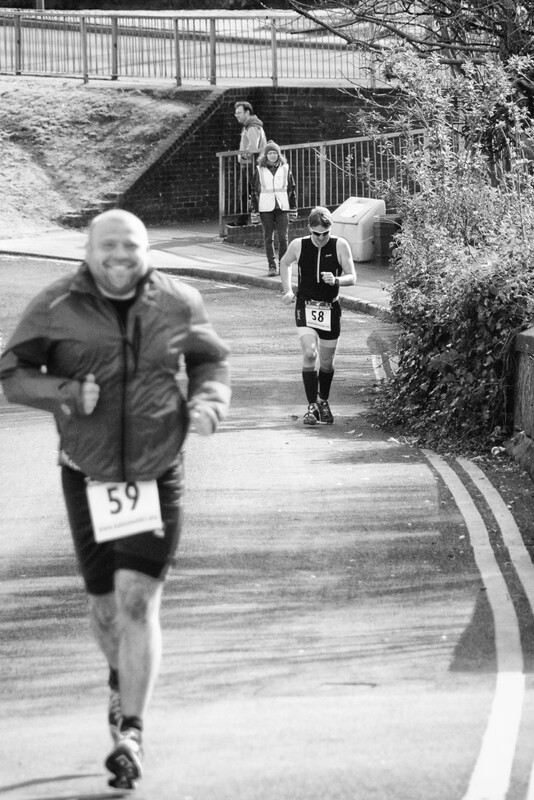 I took it steady and stopped to stretch occasionally, eventually I got into a bit of a rhythm and started to pick the pace up, but sadly just before the turnaround I felt my right calf give up. I had no choice but to walk and headed back to the finish line. After about a mile I was able to ‘hobble jog’ and being determined to finish with some degree of a run went for it. There was great support from everyone at the finish and I finished with an overall time of 1:45.30, currently a PB! Here’s to the next one, as I’ve definitely been bitten by the bug and plan to do more! A nod at this point to thetrinerd who trashed his time from last year and finished in 1:15 – great stuff!